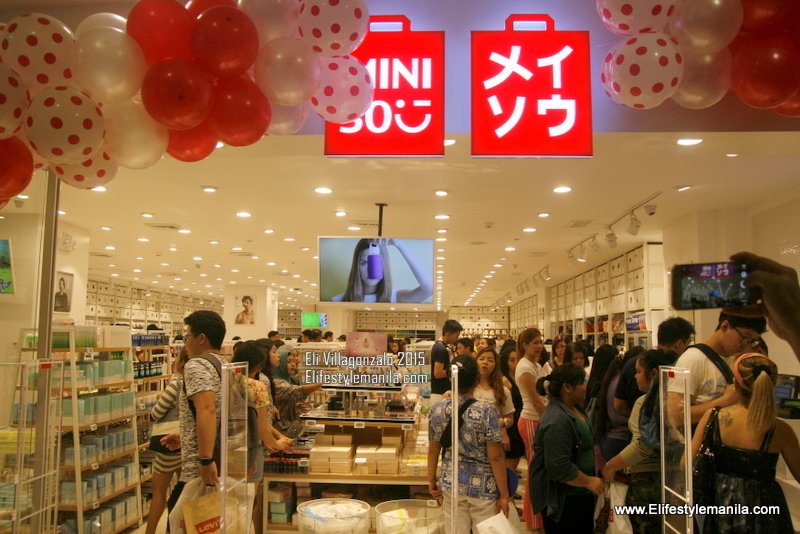 Last Friday, June 17, 2016, MINISO, Japan’s leading lifestyle brand opens its 1st store in the Philippines. Founded in 2013 by Junya Miyake, MINISO Industry Co., Ltd. in Japan began to engage in design and supervision of MINISO products in China. Opening the 1st store in the Philippines and the biggest branch so far, the fashion, lifestyle and electronics store at the Robinson’s Manila has a big space of 400 sq.m. being the biggest store opened in history. The store is located at the 2nd floor Padre Faura wing. MINISO in Japan has bloomed to a few hundred stores. What can you find inside MINISO? For the ladies, there are cosmetics. MINISO has its own line of cosmetic brand. They also offer their own line of electronic products. “One thing MINISO boasts of is they are an OEM manufacturer which guarantees quality, safety standards and complies to health regulations as well. One thing you can also notice is its affordability, value for money”, says Andrew, MINISO Area Manager. We are a Japanese company that produces High Quality Environment friendly Cotton Ear buds. These cotton buds are made with paper stems and meet environmental regulations. We have a range of Best Quality cotton ear buds and our prices are the most competitive in the market. Kindly go through the same and let us know about your requirement or any other queries.